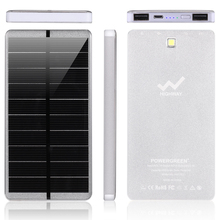 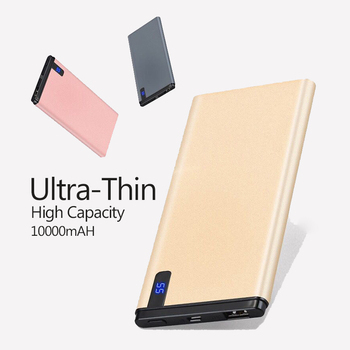 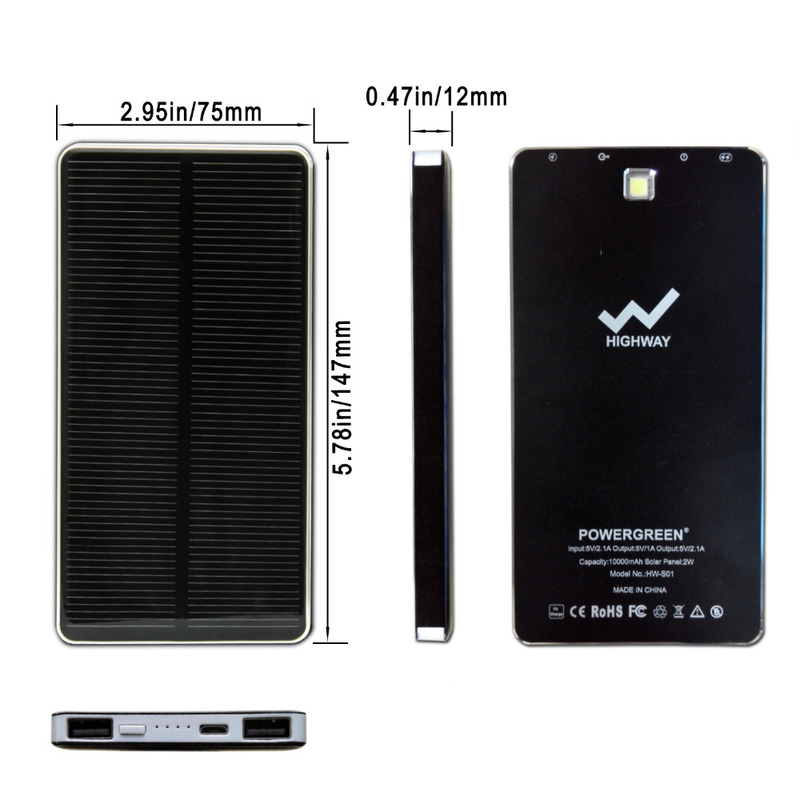 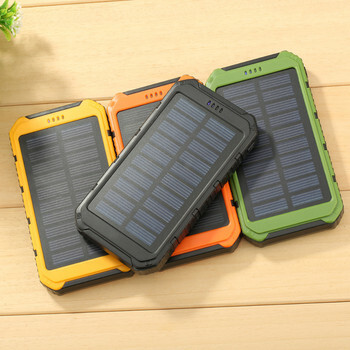 1, 10000mah High Capacity: Built-in 10000mAh high capacity lithium battery equipped with a compact solar panel, which could recharge the battery itself under sunlight for emergency purpose while outdoor. 2, Dual USB Ports Solar Charger: 2.1A USB port for iPad/Tablets. 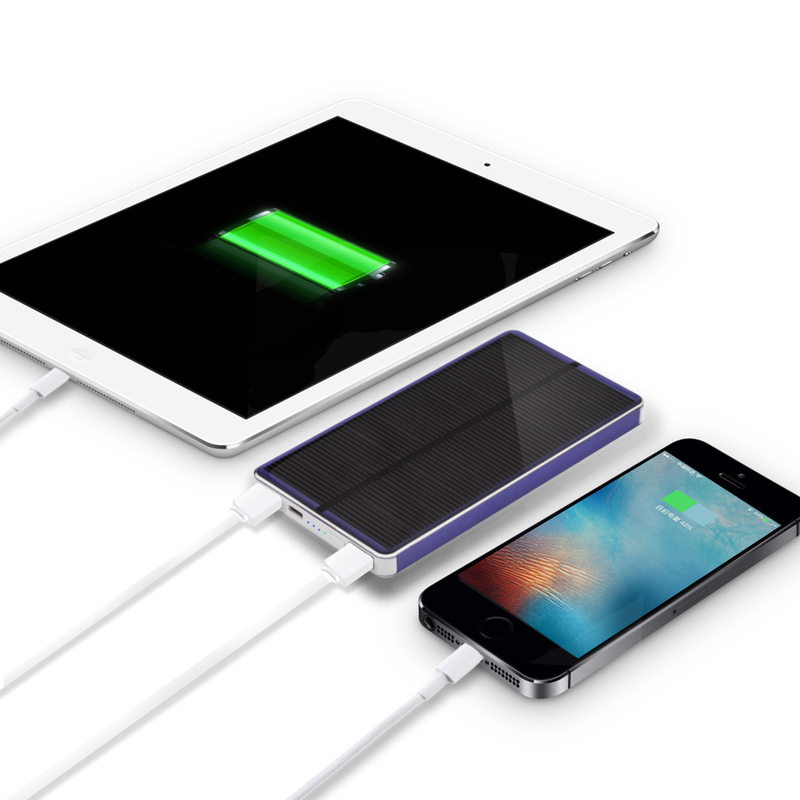 can charge two devices simultaneously, support all digital electronic devices with 5V/1A input. 3, One high LED Flashlight/Emergency Light: The LED flashlight works perfectly in darkness, especially for emergency. 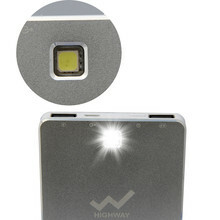 Just press the button twice, the LED will light up for flashlight mode. 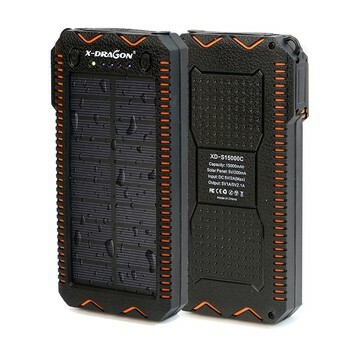 press again, the LED will flashing for emergency. 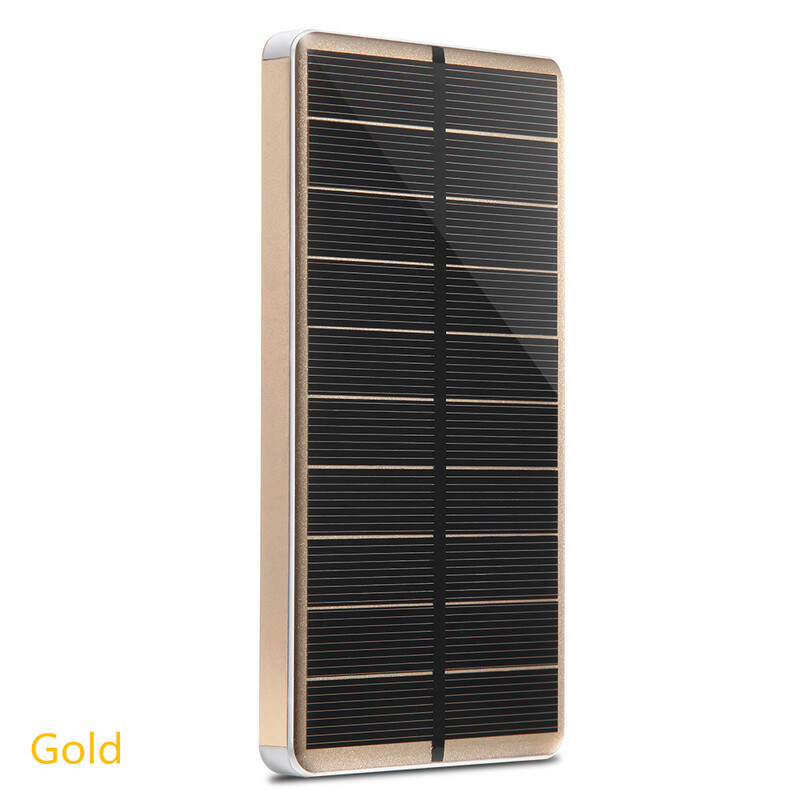 5, The efficiency of energy transformation from solar to electric energy is really low, even in a perfect laboratory condition, the transformation efficiency just 30%. 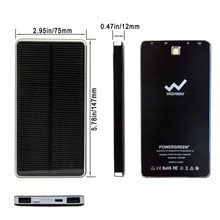 We suggest you recharge it via wall charger at the beginning to make the power battery fully activated. 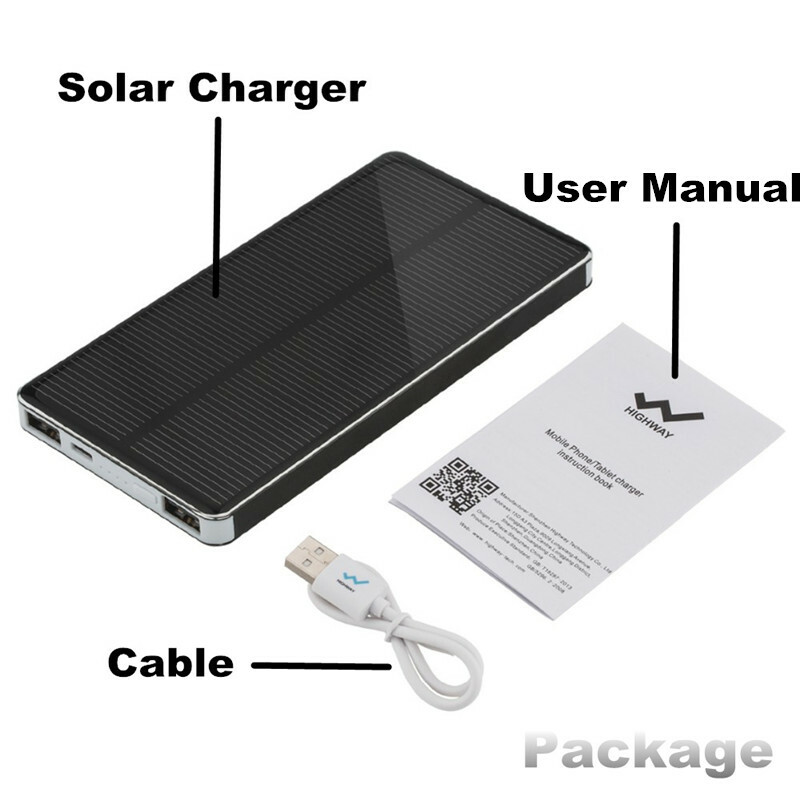 Solar charging is specially designed for emergencies, it’s not a primary source of charging due to the compact solar panel size, which may take a long time. 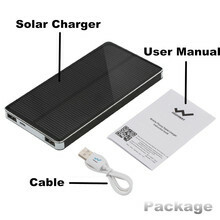 In general usage, we recommend charge the solar charger via an adapter or computer to shorten the charge time.